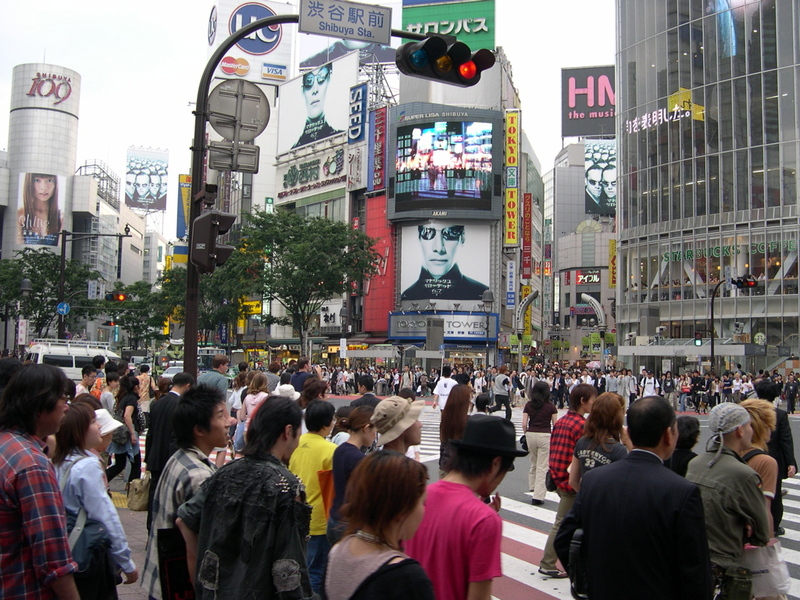 THOUGHT #1: Shibuya crossing is one of the most famous areas in Tokyo (see figure 1). It looks a lot bigger in the movies, and I think it’s because us Japanese are smaller, and the movies always use wide-angle lenses. THOUGHT #2: People don’t jay-walk as much here. Despite what feels like a 5 minute red-light for using the cross walk, everybody obediently waits. This causes large groups to queue-up at the corners, so that when the signal finally goes green the cross walk becomes insanely crowded. Thus I suspect long red lights make the crossing artificially seem more crowded than it really is. THOUGHT #3: It’s election season in Tokyo (Figure 2). There are cars with megaphones bolted to them campaigning everywhere (see video). There are so many of these cars that they occasionally cross each other and you’ll have two voices campaigning at you at the same time. Of course you can’t comprehend two voices at the same time, so they effectively cancel each other out (campaign-wise that is, the noise is still cumulative). Pingback: Itemized Thoughts #2: Japan Edition (part II) « hoj201 : or How I Learned to Stop Worrying and Love the Blog.